While presets have been around for some time, LUTs, or Look Up Tables, are a rather new feature for raw photo editors, as they are normally used to help color grade video. 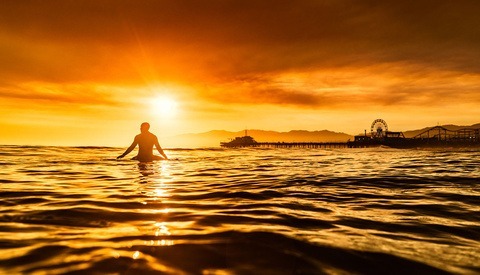 The ability to apply LUTs as separate layers — which are freely available on the internet or to be purchased from third parties— to photos opens up new flexible and creative avenues to the user. This allows photographers to quickly select which images they want to import by displaying visual previews at the source location. Not only that, but photographers can now select a variety of source and destination options. Both of these updates can significantly speed up workflow by allowing users to begin editing as soon a the image copy begins. The ability to assign a shortcut keystroke to suit your workflow for editing, organizing, or navigating. A Lightroom keyboard shortcut preset is included for those who are migrating from Lightroom to Exposure. 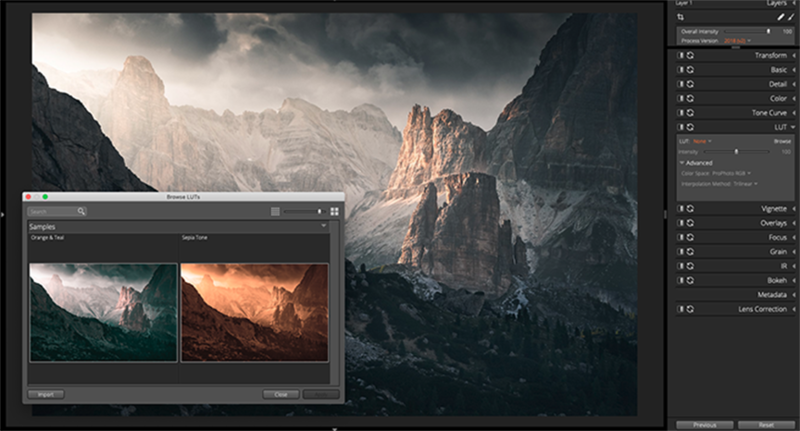 A preview of the new LUT support feature in the Alien Skin's Latest Update to Exposure, Exposure X4.5. Exposure X4.5 delivers features that are among the most requested by our customers and that make Exposure an even more powerful and complete editing and organizing solution. New light leak overlays: Including two new categories; Lens Flare and Haze. Collection membership for images: These can now be found in the Metadata panel, allowing photographers to view the full list of collections that an image belongs to. More: User-requested workflow refinements including additional photo sizing options when exporting, new keyboard shortcuts, and more. Exposure X4.5 is now available for $119 from the Alien Skin store on alienskin.com. The update is free for those who already own Exposure X4. 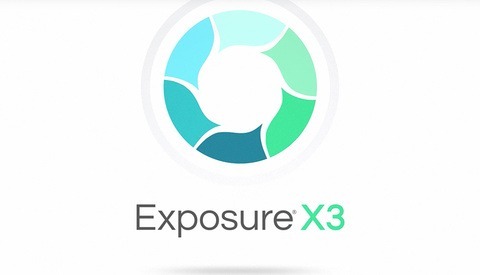 A reduced upgrade price is available to owners of previous versions of Exposure. A thirty-day free trail of Exposure, which includes all its features, is available here. 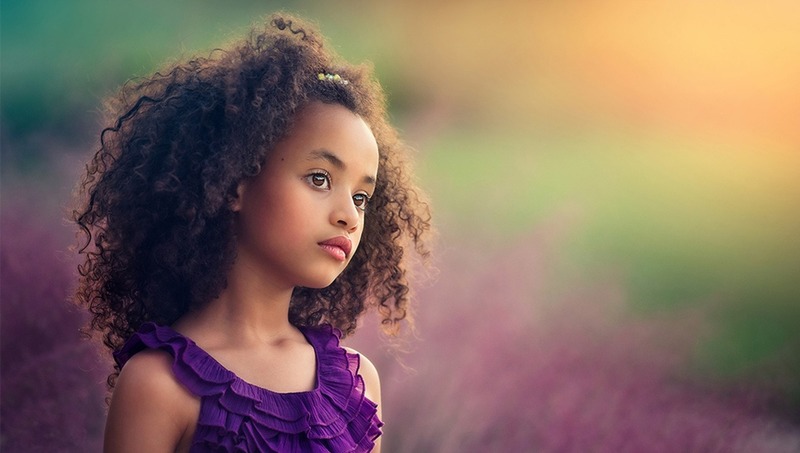 LUTs are available in LR and called “profiles”. It is not exactly the same thing: a LUT is a LUT, a profile is a profile. From my point of view the main problem is a problem of standard. LUTs use universal standard formats (.cube .3DL etc.) common to various image/video editing software. The LR profiles don't use a universal standard format, it uses a non standard .dcp format (and this is just absurd in 2019). Lightroom cannot read the standard LUT formats (.cube .3DL etc.). You can make a LR profile from a LUT, but it is an enough long (complex) process to convert the LUT in profile (I did some). True. I tried creating LUT's for LR and it's a long process. LUTS work very well in Lightroom. Exposure is awesome. Been using it for 2 years now. Who needs LR? Me. In LR I have catalog + RNI with custom camera profiles and quality film simulation on top. Exposure is also good but its output looks heavy-handed compared to LR+RNI. But Exposure is also cheaper... Horses for courses I guess.